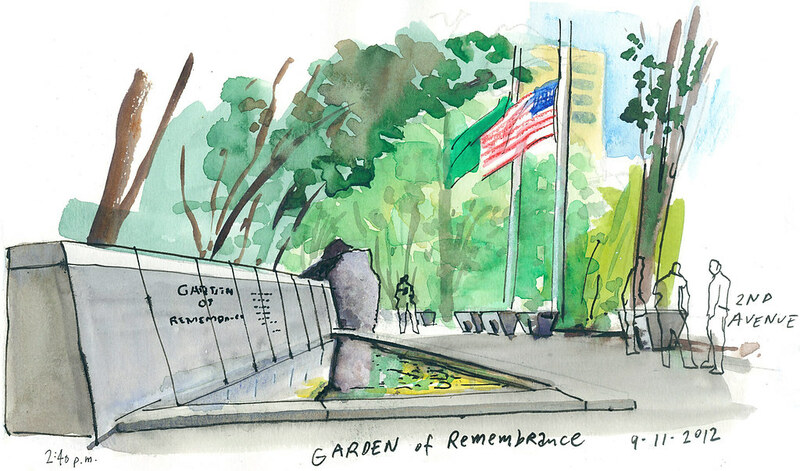 The Garden of Remembrance in front of Benaroya Hall is dedicated to more than 8,000 Washington State war dead since World War II. On a day like today, when we remember the lives lost on 9/11, I stopped by the memorial and drew this sketch. All U.S. flags are flying at half-mast. I spotted at least four on my walk back to the office.